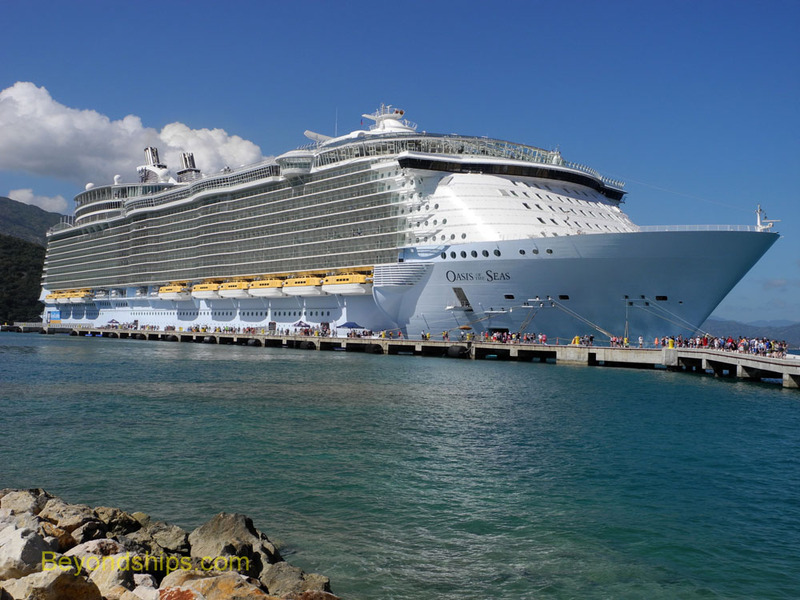 For most of her career, Oasis of the Seas has alternated between Eastern Caribbean cruises and Western Caribbean cruises. One week, was the eastern itinerary, the next the western. 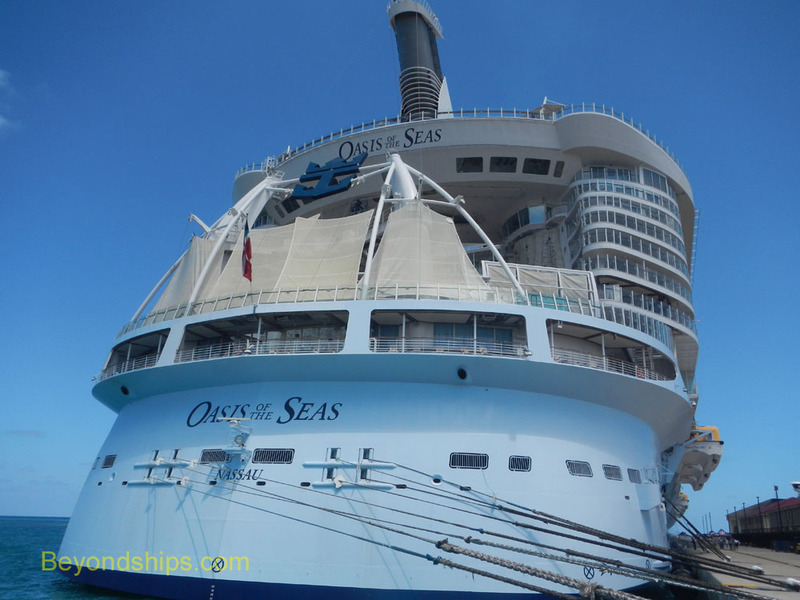 In this compilation, we see Oasis in the various ports of her western itinerary. 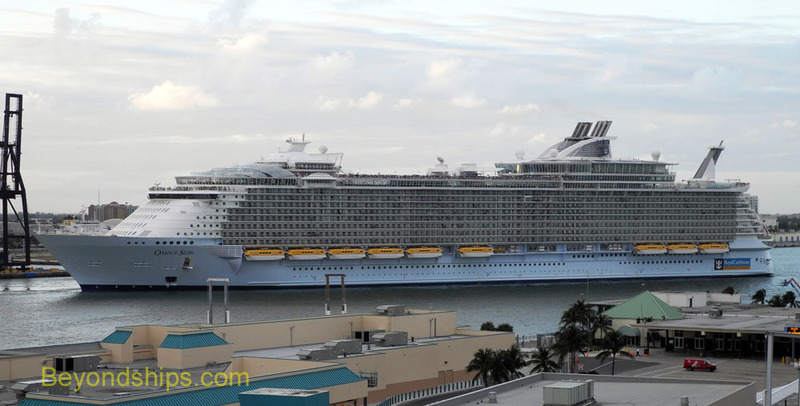 The starting point for these cruises was Fort Lauderdale (Port Everglades), Florida. Left and below: As usual, Oasis berthed in the southwest corner of the harbor at Terminal 18, which was built with her in mind. Above: In the afternoon, Oasis backs out of her berth and begins to turn toward the entrance to the harbor. Right: Oasis clears the entrance and heads out to sea. 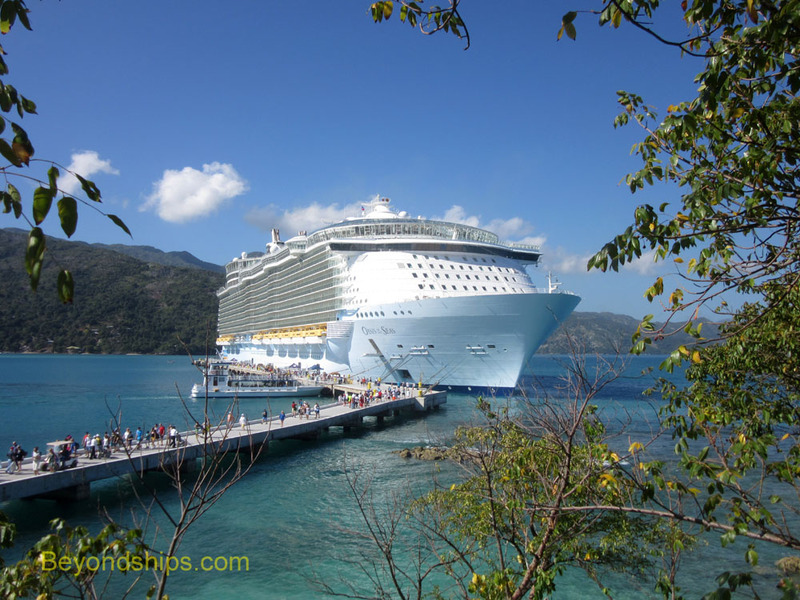 Labadee is one of Royal Caribbean's private cruise destination. 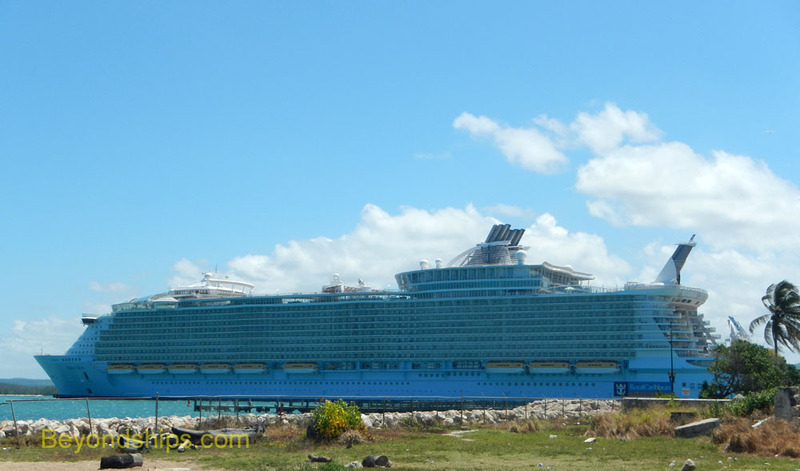 A resort complex with beaches, bars, restaurants, shopping and various rides, Labadee was long a tender port. 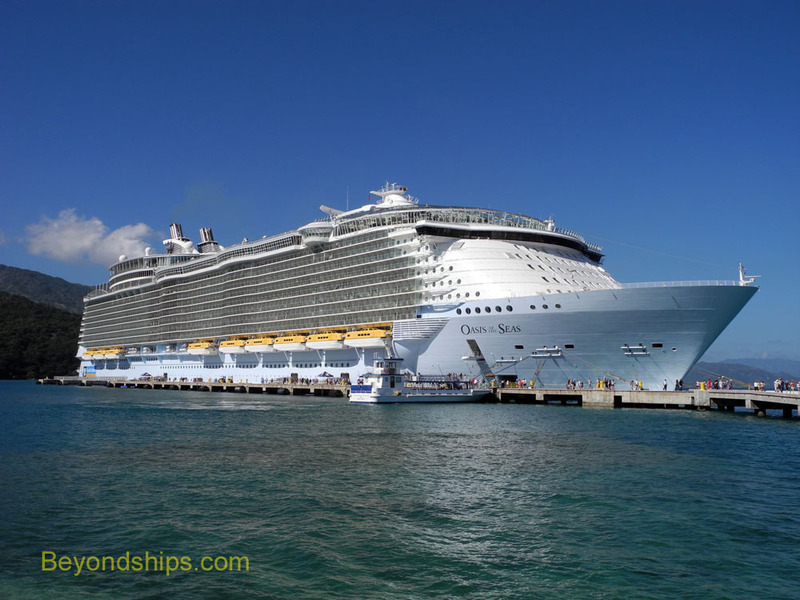 However, in order to accommodate the Oasis class ships, Royal Caribbean constructed a pier so that passengers can just walk on and off. 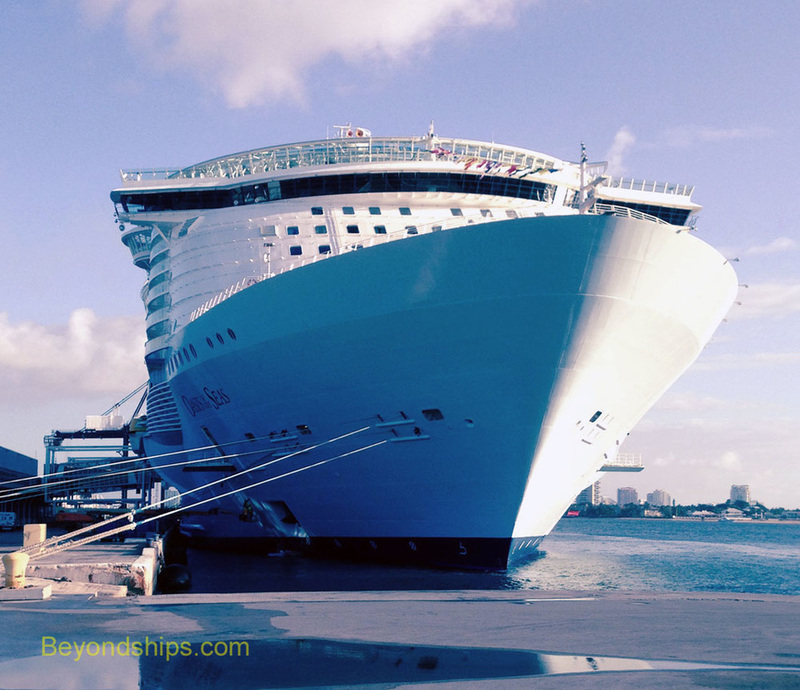 Falmouth is an old port that has been transformed into a modern cruise port with shops, bars and restaurants within the cruise port area. 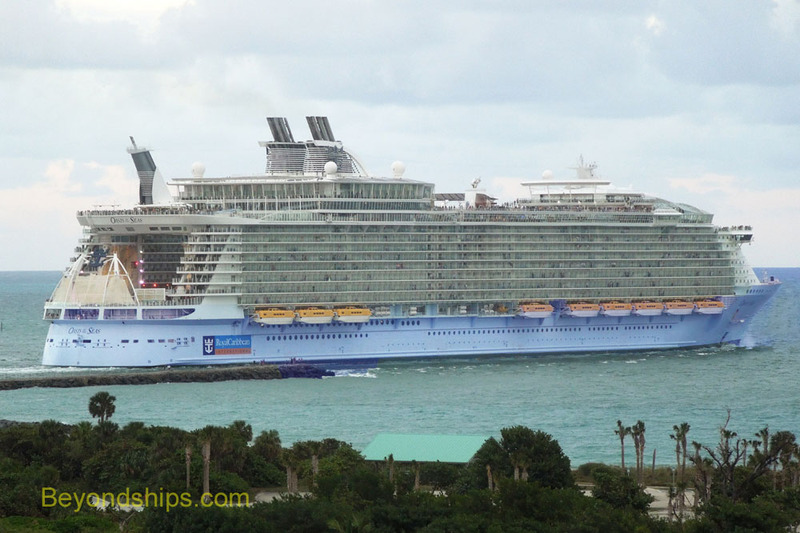 The new port was constructed so as to be able to handle the Oasis class ships. 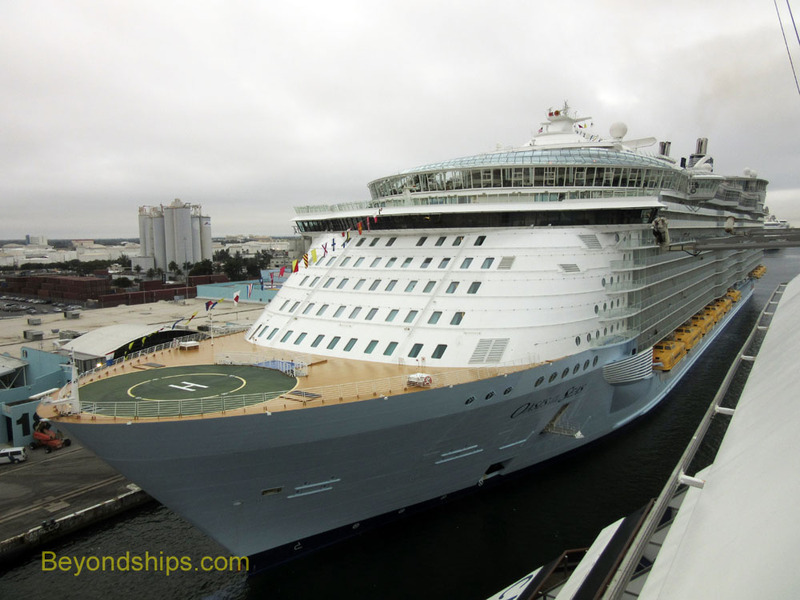 Left and below: Before docking, Oasis turns so her bow is towards the sea.